SELF-IMPROVEMENT6 Essential Buddhist Principles To Practice Daily That Will Instantly Change Your Life! Home » Tips » SELF-IMPROVEMENT6 Essential Buddhist Principles To Practice Daily That Will Instantly Change Your Life! 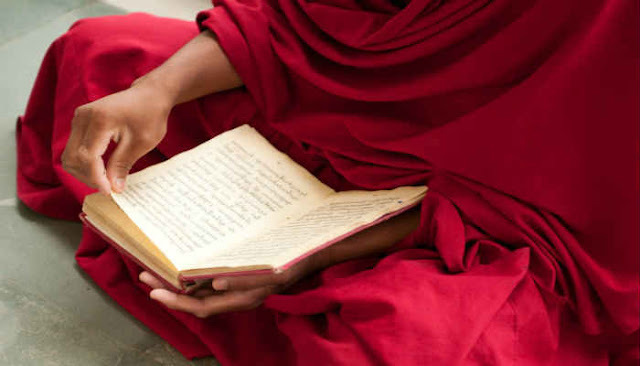 Here are six Buddhist principles that when practiced regularly will change your life! Be aware of what you put into your body, be thankful for the nourishment good food provides. Consider carefully before purchasing material objects. Ask yourself if it’s really something you need, or just a transient desire. Take a deep breath, and see if breathing is enough. Pay attention to the effects of media you consume. Is it helping you grow or learn? Or is it a distraction or form of escapism? Does it destroy your mindfulness of the moment? Consider your words carefully. When you feel compelled to speak in a meeting or conversation, pause. Will your words bring harm or foster love? Breathe before entering your home, place of work, or school. We must first choose to notice what is present before we can become comfortable with its existence. Much counterproductive coping comes from “checking out” or trying to avoid places or situations that leave us feeling uncomfortable, or stressed. Listen to the people you encounter. If we talk to others and listen when they talk, we create the possibility of mutual sympathy, understanding and tolerance. Notice what you have. Practicing mindfulness of gratitude consistently leads to a direct experience of being connected to life and the realization that there is a larger context in which your personal story is unfolding. Be equally grateful for opportunities and challenges. The practice of gratitude is not in any way a denial of life’s difficulties. We live in troubling times, and no doubt you’ve experienced many challenges, uncertainties, and disappointments. The understanding you gain from practicing gratitude frees you from being lost or identified with either the negative or the positive aspects of life, letting you simply meet life in each moment as it rises. Share joy, not negativity. Learn to rejoice in the good fortune of others and your own happiness multiplies – it’s the best cure for envy. 04: CULTIVATE COMPASSION AND LOVING KINDNESS. Notice where help is needed and be quick to help. Selflessly act to alleviate suffering wherever it appears. Consider others’ perspectives deeply. Observe your reactions with genuine interest and non-attachment. If we find it difficult to listen compassionately and patiently to the woes of others, we can almost be certain this is because we haven’t been able to sit still and listen to our own heart’s cries. Work for peace at many levels. Whatever you experience internally is valid, it is there for a reason, whether you understand it or not. It is not always necessary to understand the origins of an experience or a reaction in order to come to peace with it. Cultivate “don’t know” mind (= curiosity). With wisdom we become better at solving the problems in our own lives and are able to offer insightful guidance to others. Thus, the knowledge converted into wisdom brings happiness as a result. Be open to what arises in every moment. The mind can focus in so many directions: past, present, future, abstract notions or analytical problem solving, to name a few. All forms of thought have a useful role. Try to prioritize awareness of the present moment. Cultivate the ability to tune into sights, sounds, physical sensations, thoughts and emotions that are occurring in the present moment. Impermanence and change is the undeniable truth of our existence. What is real is the existing moment, the present that is a product of the past, or a result of the previous causes and actions. Because of ignorance, an ordinary mind conceives them all to be part of one continuous reality. But in truth they are not. This post was republished from theearthchild.co.za. You can find the original post here.